Growing an edible garden can be a rewarding experience. Not only does it give you a chance to get in touch with nature and provide for a relaxing hobby, but it also allows you to create something and enjoy the delicious and fresh fruits of your labor. While gardening and producing your own fresh fruits and vegetables can be an enjoyable endeavor, it can become frustrating if you constantly have to battle pests that are trying to destroy or consume your new creation. The good news is, is that ridding yourself of these pests or reducing their numbers can be as easy as planting other pest and insect-repelling plants around your edible garden. 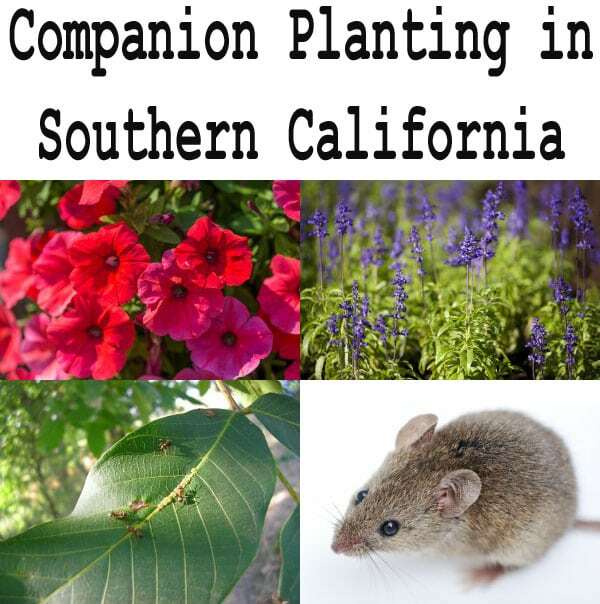 If you have some pests, you need to evict from your garden, consider planting some of the pest-repelling plants listed below. Marigolds are beautiful flowers with yellow and orange blooms that can add a pop of color to any garden setting. Not only can they add some color to your edible garden, but they also have a scent that acts as a natural repellant to mosquitos as well as a variety of other pests that can wreak havoc on your garden such as tomato worms and squash bugs. The compound in flower is actually so powerful that it is an ingredient in many insect repellents. Marigolds are best to plant around tomatoes, melons, and squash to keep them free of destructive. Petunias come in a variety of colors so they can add a nice pop of color to any edible garden to complement the green. They create beautiful funneled shaped blossoms that emit a sweet licorice-like scent. This smell is considered repulsive to a variety of insects that may haunt your garden such as aphids, tomato hornworms, and squash bugs. You want to make sure to plant these by taller plants such as tomato plants as they tend to attract slugs so may not be advisable to have them around vegetables growing on the ground. Mint creates a great smell around your garden as well as makes a wonderfully fragrant herb to use for cooking. It is the perfect addition to any edible garden because, although humans may enjoy the taste and smell of mint, ants and rodents, such as mice absolutely detest it. The only thing to be cautious of is the fact that mint can grow and spread rather rapidly, so you might want to plant it in pots to surround your garden, so they do not take over valuable space. Garlic can be a great addition to any garden for its fragrant nature and use in cooking, but it is also an effective repellent for a number of pests that can consume and destroy your edibles. Garlic is good at repelling both aphids and Japanese beetles and is most effective when planted by tomatoes, eggplants, and cabbage or other like plants. Avoid planting next to legumes such as bean and peas. Sage is another fragrant herb to plant in your garden that is effective at repelling such garden damaging pests as cabbage moths and carrot fly. It is effective when planted by any perennial vegetables in your garden though it should be planted away from areas where you may have cucumber plants or rue. One of the most fragrant plants to have in your garden, which also comes with the added benefit of beautiful purple blooms, is lavender. You may have noticed that the only insects you find around a lavender plant is bees and that is not a coincidence. The fragrance acts as a deterrent for a number of insects and pests especially moths, ticks, and mice. A versatile plant that can really battle some of the common critters that may infect your garden area is tansy. Tansy works best when planted close to squash and potatoes though you should avoid putting it to close to collard greens. It is effective at repelling striped cucumber beetles, flying insects, Japanese beetles, squash bugs, and even ants. If you have a variety of vegetables in your garden, including multiple ones that would fall into the cabbage family, plant the flowering geranium will help combat many of the insects that can destroy your crop. The flowers come in a number of colors and can combat such critters as cabbage worms, corn earworms, Japanese beetles, and almost any other type of insect. The good news is that even though geraniums are annuals, they are relatively inexpensive and regenerate when the stems are replanted. The favorite snack among the feline population, catnip is a great addition to gardens that have any types of vegetable plants. Not only do they naturally repel mosquitos, but they also deter or repel flea beetles, weevils, spittlebugs, ants, and Japanese beetles. Just make sure to keep the cats away from your garden, or you may find your catnip disappear rather rapidly. If you enjoy cooking with fresh herbs, a must-add to your edible garden is rosemary, not only for use, but also as a repellant for other insects that can threaten your plants. It is effective at reducing the number of carrot fly, cabbage moths, and bean beetles from setting up residence in your garden. If fruit trees are part of your edible garden or you are growing a lot of cabbage, it would be prudent to include some Hyssop plants around the perimeter. The plant is great for repelling the insects that prey on these plants such as cabbage moths, moth larvae, white butterflies, and slugs. Help keep the pests and insects where they belong which is out of your edible garden by adding some of the plants, herbs, and flowers listed above. Not only do many of them prevent damage from common bugs and pests but these also can add some much-needed color and fragrance to turn your garden into a truly beautiful and functional landscaped area.